On November 6, I served as a student poll worker for the midterm elections. As a high school student, I have never voted before, so this was my first involvement in an official election of this sort. Volunteering at the polls gave me hands-on experience with democracy, as well as the inside scoop on what it really takes to ensure a fair election. Here’s my first taste of the democratic process. Even as a teenager with no previous experience in the voting or elections process, I had a feeling that something would be… different about this election. Kids my age have lived through only a few midterms and primaries, but they are always widely covered by the media. After each major U.S election, one pattern has consistently emerged, permeating through debate on bipartisan issues and adding to the uncertainty about the nation’s future. This simple fact is beginning to change: the fact that young people, for the most part, don’t vote. Studies and poll statistics from previous years demonstrate that an entire demographic has failed to fulfill their most basic duty - and arguably, their most powerful tool - as eligible citizens. There's no doubt that young people are politically engaged. Whether it’s through organizing walkouts or being outspoken on social media, the voice of the American youth has not gone unnoticed. However, data from the last few elections is not reflective of the momentum that young Americans seem to have built up. The 2018 midterms were predicted to be a pivotal event for the youth. Why is this? Well, the elephant in the room is that the current White House administration has sparked a kind of political awareness heretofore unheard of. No matter how much one attempts to disassociate with politics, the fact is that the rhetoric being spewed out of the White House is difficult to tune out. Additionally, civically engaged young Americans have recently taken notice of their peers’ disengagement in democracy, and have since begun raking up momentum nationwide prior to the midterm elections. As you may recall from my previous article A 21st Century Women's Movement in the Making, organizations such as When We All Vote and Girls Build LA are largely targeted towards harnessing young people's’ dissatisfaction into real, measurable action. This has created a unique “voting is cool” movement. While serving as an election poll worker, I observed the final outcome of this exhausting midterm season. So, where the predictions accurate? Did Millennials and Gen Z show up and show out? Well, it’s hard to tell. As a poll worker, I only assisted voters at a single precinct. It’s unfair to make generalizations about entire generations based on the voter turnout of a single district. However, it suffices to say that things are looking upwards. Many young adults showed up with their friends and parents to cast ballots. I taught quite a few nervous new voters how to use the equipment. I noticed that they often seemed ashamed or embarrassed by their inexperience; perhaps they felt undeserving of occupying such an important space just because they were confused about the whole process. It’s important to know that there is absolutely nothing embarrassing about trying something new, and there’s no reason to feel ashamed of participating in your democracy. 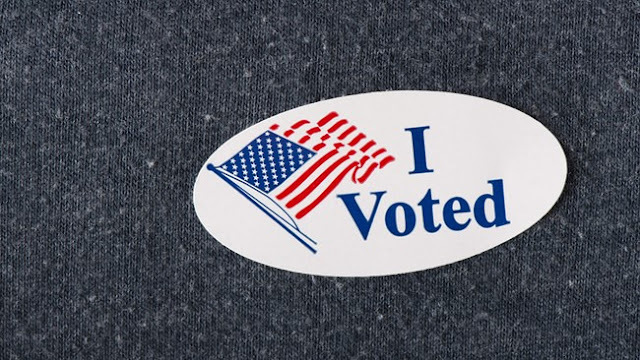 Volunteering at the polls gave me insight into just how flawed our democracy still is. I was assigned to hand out ballots to each and every voter after they had signed in. Countless voters had to cast provisional ballots, meaning their ballots would have to go through additional screening and background checks before their vote could be counted. There were a few reasons for this. The main complications were with people who had been issued vote-by-mail ballots. Many voters were expecting to vote on-site since they had not cast their ballot, but they had no idea that in order to vote normally, they needed to physically bring in this vote-by-mail ballot to ensure they hadn’t voted twice. There was a shocking number of citizens who were simply unaware they had been sent a vote-by-mail ballot in the first place. I don’t have official data, but from my observations, it seemed as though every few minutes I had to hand someone a provisional ballot. At first, this was dreary to see. But I learned to see it as a source of hope. Information about how to ensure one’s vote will be counted is crucial to protect democracy. This information needs to be accessible, simple, and distributed to all eligible voters. There is so much improvement to be made, and my generation will, and must, be the one to take action.